PLAYER PROFILE: Jackie Johnson is a tough in-your-face defender and shot blocker, who doesn't shy away from competition. 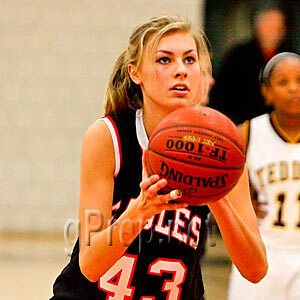 On offense, she is a smart and terrific scorer with a lights-out mid-range game. Johnson is also crafty at getting to the hoop and finding open teammates. And at 6'2", she is very long, can run the floor and make things happen in the transition game. A lefty, she is a deceptively tough and fierce competitor, whose versatility is second to none.